Earlier this year, Razer bought the smartphone company Nextbit, so it should perhaps not come as much of a surprise to see the gaming-focused company step into the smartphone market, but Razer wants to bring more than just another 'me too' Android phone. Today the company is launching the Razer Phone with a couple of industry firsts, which is impressive considering the competition in the smartphone space. 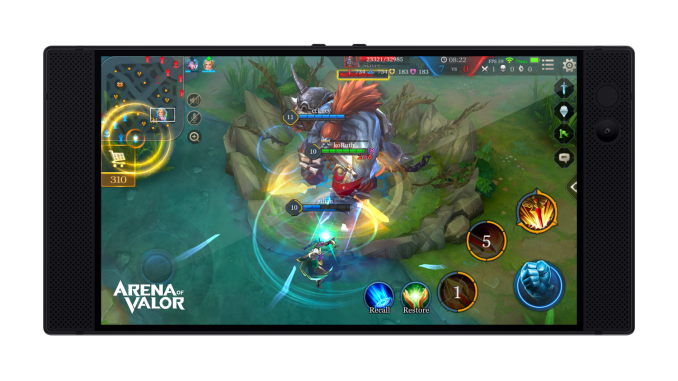 One of the first questions we asked the Razer engineers is 'how can one design a phone specifically for gaming - what features would it have over and above other devices out there?'. This seems like an obvious question, however it was greeted with a good answer: Razer has designed the phone for prolonged use to maintain high frame rates. Most modern smartphones that use either the Snapdragon 835 (like the Razer), an Exynos 8890, a Kirin 960/970 or a MediaTek chip will have an immediate turbo profile for the CPU and GPU, and depending on the design, will at some point jump to a lower frequency in order to maintain an appropriate thermal profile. Razer has stated that they have built their design to maintain the top frequencies for as long as possible: where other devices throttle after 2-10 minutes, Razer's engineers say that their device should have a much better frequency response to external thermals - we're invited to test when we get a sample to see how long it can sustain those higher clocks. The Razer Phone will feature a 5.72-inch display, but with Razer’s roots, it shouldn’t be a big surprise to see them wanting to one-up the competition here. Razer has long used Sharp IGZO LCD panels in its laptops, and the Razer Phone continues that trend with a 5.72-inch IGZO LCD with a 2560x1440 resolution, which works out to just over 500 pixels per inch. That should be plenty sharp for almost any application, and due to it being LCD there shouldn’t be any issues with subpixels like you see in OLED. Also to appeal to gamers, the Razer Phone is the first shipping smartphone to have a screen that can run a 120 Hz refresh rate. The faster refresh rate should help smooth out animations, and gameplay, but because 120 Hz would be a power draw if used all the time, it also supports variable refresh to lower the refresh rate down to 30 Hz. The display also supports a wide color gamut, and is protected by Gorilla Glass 3 from Corning. 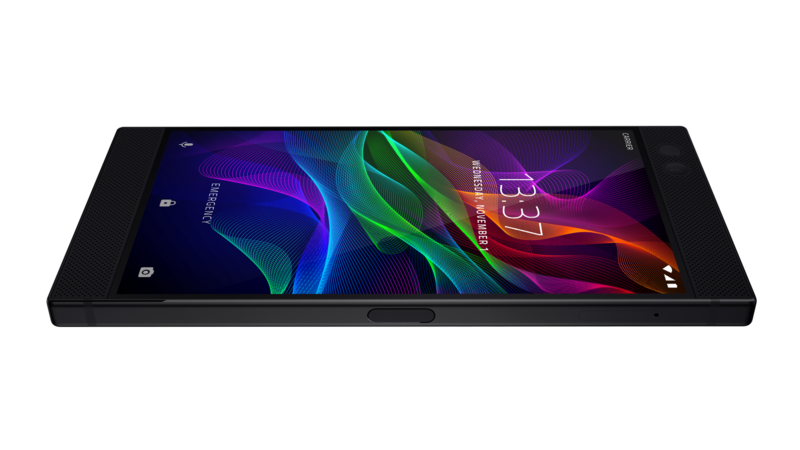 Powering the Razer Phone is the Qualcomm Snapdragon 835, which we’ve seen in most of the high-end smartphones this year. Razer is turning up the notch a bit though, with 8 GB of LPDDR4 1600 MHz RAM. The combination should provide plenty of performance, as well as great multitasking. There’s 64 GB of UFS internal storage, and microSD support for an additional 2 TB of storage. Implementation of the SoC, including the power profiles, and cooling capabilities, can all play into how the phone performs, so we'll hopefully get a chance to review this and see how they did. Just over a year ago, Razer also acquired the majority of THX assets, and Razer has been applying their audio knowledge to some of their products already, but the Razer Phone is the first smartphone to bear the THX certification. In this case, Razer is offering a THX certified DAC for external audio, which will be available as a USB-C adapter since the Razer phone doesn’t offer a headset jack. Apparently, this is the new normal now, so RIP 3.5mm on phones. But the company also wanted to provide a great sound experience for local playback, and they’ve included stereo front-facing speakers, which feature dual-amplifiers. The company said on the briefing that they wanted to provide the best audio experience from a phone, so we look forward to checking it out. 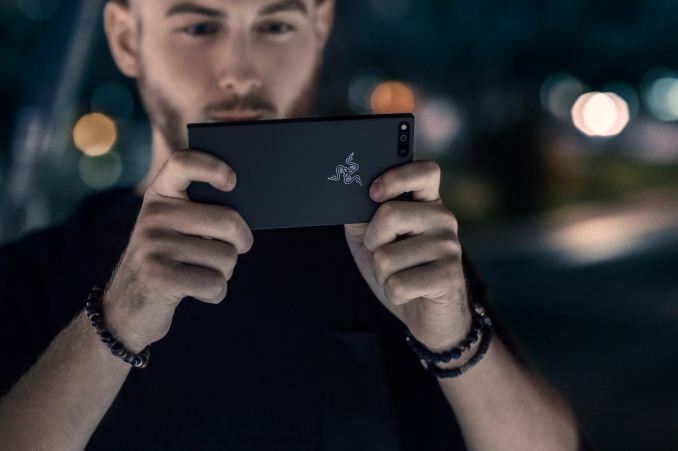 Smartphones have to also be great cameras to even be considered at the high-end of the market, and Razer has chosen to ape the camera hardware from the iPhone, with dual 12 MP rear cameras. One offers a f/1.75 wide angle, and the other offers a f/2.6 zoom lens. It offers phase-detection auto-focus, and a dual-tone dual-LED flash. The front camera is an 8 MP f/2.0 camera. 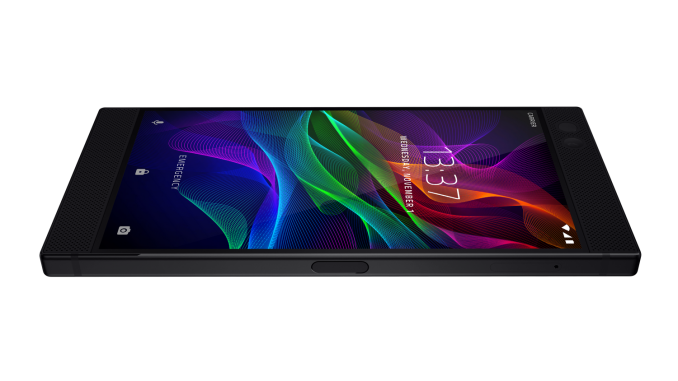 Razer wanted great battery life as well, so they packed in a 4000 mAh battery, and to get it charged quickly, they are the first smartphone to offer Qualcomm QuickCharge 4.0+. The phone is shipping with Android 7.1.1, although not much was said about Android 8in the future. Despite offering a premium smartphone in 2017, Razer is actually coming in with a price under what some of the competition is asking. 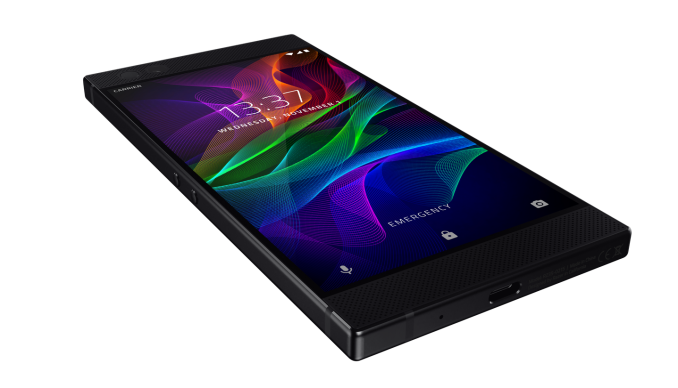 The Razer Phone is available for pre-order today for $699, and shipments will start on November 17th. They'll also be offering a special edition model, replacing the muted gray Razer logo with the more customary green version. Selective coverage for favorite brands that sell very low value products- Apple, Microsoft and Intel. This looks remarkable reasonably priced after all the Samsung and Apple overpriced items this year. I can adjust to no expandable storage because phones finally have 64 GB of storage built in + there are a ton of reasonably priced cloud services. Lack of headphone jacks is a bummer, but I can also adapt with dongles. For me the killer is the lack of user replaceable batteries. One of the worst aspects of modern smartphones is how horribly the battery degrades after a few years of use. How can you not like being robbed by very greedy people.